As a chiropractic physician in St. Paul, Minnesota, practicing for over 22 years, I have had the opportunity to work with many wonderful health care providers. Chiropractors see a plethora of different types of patients and conditions. They range from stiff backs, to infantile colic, to severe rare neurologic disorders. Chiropractors have been trained to diagnose most all conditions and to decide which patients and conditions they are able to help within their scope of practice. Chiropractors do not use medications, injections and/or surgeries. Some patients will always need these types of treatments, and building an extensive professional network of a wide array of health care professionals is an important aspect practicing chiropractic. 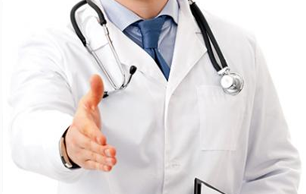 The common types of health care practitioners that make up a strong referral network include family practice doctors, orthopedic doctors, neurologists, cardiologists, physiatrists, psychologists, physician assistants, nurse practitioners, physical therapists, occupational therapists, dentists, radiologists, oncologists, ENT’s, pediatricians, and gerontologists. This group of health care providers are the more common mainstream providers that practice in the allopathic model of health care. It is important to introduce chiropractic to these practitioners, so they understand the types of treatment their patients may benefit from. It is also important for the chiropractor to understand the types of treatments these professionals may offer to our patients should they need them. There is another nontraditional group of health care providers that are very important to have in your referral network. These types of practitioners also offer very valuable, but less known treatment options for a number of conditions. They include other chiropractors that have different specialties than you offer. There are literally hundreds of different techniques, along with multiple post-graduate degrees of study, that at times will be most appropriate for your patients. Other non-traditional health care providers include naturopaths, homeopaths, applied kinesiologists, acupuncturists, traditional Chinese medical doctors, healing touch practitioners, Reiki therapists, massage therapists, yoga instructors, personal trainers, nutritionists, and craniosacral therapists. It takes a lot of time, energy and leg work to build a network that is extensive and works well for patients. 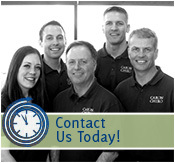 At Caron Chiropractic we have been consciously building our network for over 22 years. As a result of building our network, we not only learn about other treatments that help our patients, we also form professional relationships that are rewarding and enjoyable. These relationships help us in our clinical expertise, and brings us peace of mind referring our patients to some of the best practitioners in the Twin Cities. We always know our patients will be taken care of with these talented, knowledgeable and caring professionals. We are very proud of our reputation, and receive many referrals from other health care professionals. This entry was posted	on Wednesday, February 26th, 2014 at 7:59 pm	and is filed under Chiropractic, Chiropractic Treatments, Chiropractor. You can follow any responses to this entry through the RSS 2.0 feed. You can leave a response, or trackback from your own site.